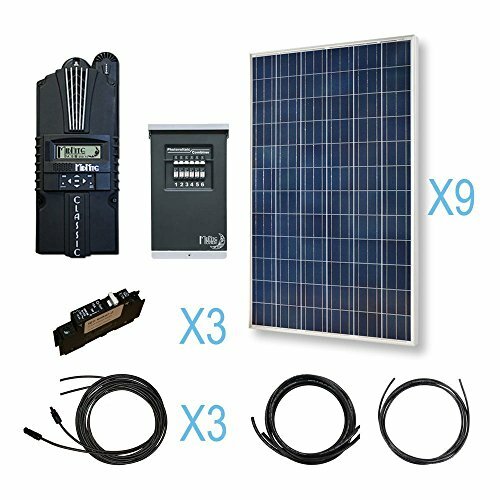 RENOGY® 3600W Polycrystalline Cabin Solar Kit: 12 300W Poly Solar Panels + 1 Midnite MPPT Controller | Fountain City Art Ctr. Renogy 3600W Polycrystalline Cabin Kit includes an industry favorite - Midnite Solar's MNPV6 Combiner Box. The MNPV6 is rated for outdoor use and allows for later system expansion. Offering both efficiency and expandability, the Renogy 3600W Cabin Kit is perfect for powering a small cabin in the woods, and could be perfect for you too.